Shlomo Sand was born in 1946, in a displaced person's camp in Austria, to Jewish parents; the family later migrated to Palestine. As a young man, Sand came to question his Jewish identity, even that of a "secular Jew." With this meditative and thoughtful mixture of essay and personal recollection, he articulates the problems at the center of modern Jewish identity. 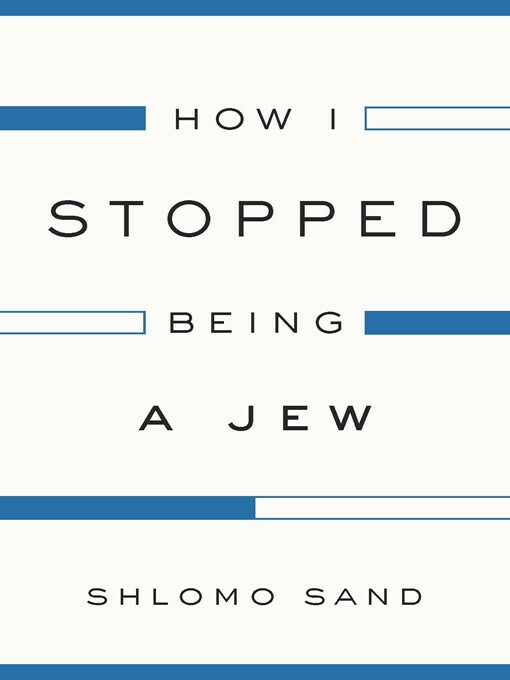 How I Stopped Being a Jew discusses the negative effects of the Israeli exploitation of the "chosen people" myth and its "holocaust industry." Sand criticizes the fact that, in the current context, what "Jewish" means is, above all, not being Arab and reflects on the possibility of a secular, non-exclusive Israeli identity, beyond the legends of Zionism.